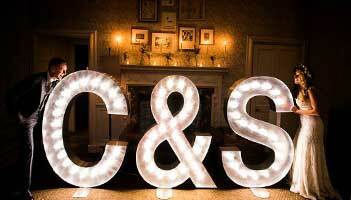 Tell your guests, if they didn’t already know, that you’re now married with a light MR and MRS/ MR & MR/ MRS & MRS sign! 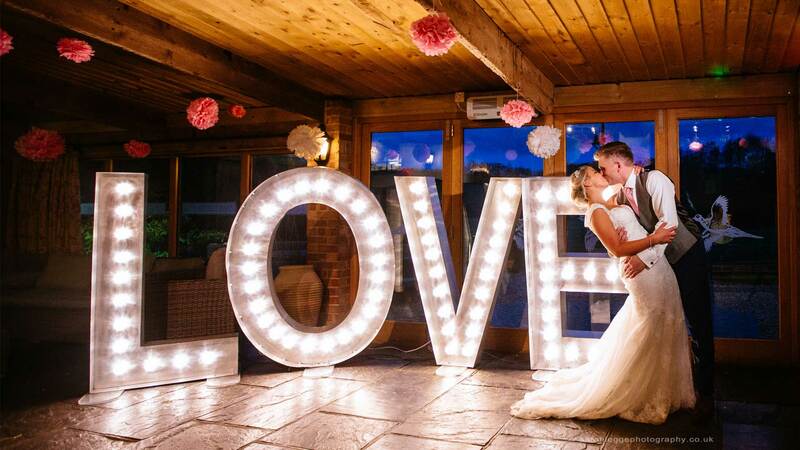 Our giant lights will leave your guests in no doubt that they have just witnessed the wedding of the year! This particular product is a very popular combination from our range of light bulb letters. You will have a large striking display which is perfect for your party, and a real talking point for your guests. Our giant decorative metal letters makes for a fantastic backdrop to your photographs which can be used on Thank You cards or photo album covers. Additionally, the freestanding light bulb signs are so much fun, and provide style as well as an extra light source. 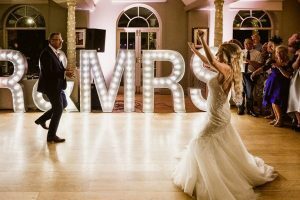 Not only are the MR and MRS light up signs perfect for your ceremony, they are also a great idea for anniversary parties and vow renewal celebrations. Wedding Signs in Any Colour! Looking for a specific coloured bulb to match your colour scheme? Not a problem, we can offer a huge range of coloured bulbs at the cost of a £50 supplement. 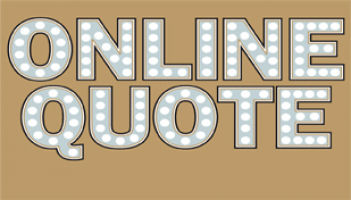 Simply let us know when booking your sign and we can find the ideal colour for you. Looking for a gift to surprise the bride and groom? Are you looking for a special present for a happy couple that already have everything they need to start married life? 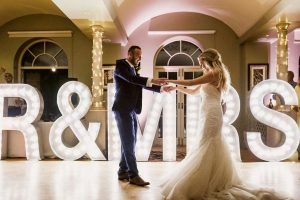 We have found that our marquee letter lights are popular with families hoping to contribute to a special day but are stuck for ideas. Why not surprise the happy couple with some fabulous illuminated letters for their ceremony, reception or anniversary? We offer UK-wide delivery and can deliver direct to your party venue and liaise directly with you or the venue to ensure that the gift really is a surprise – just let us know when you place your order. 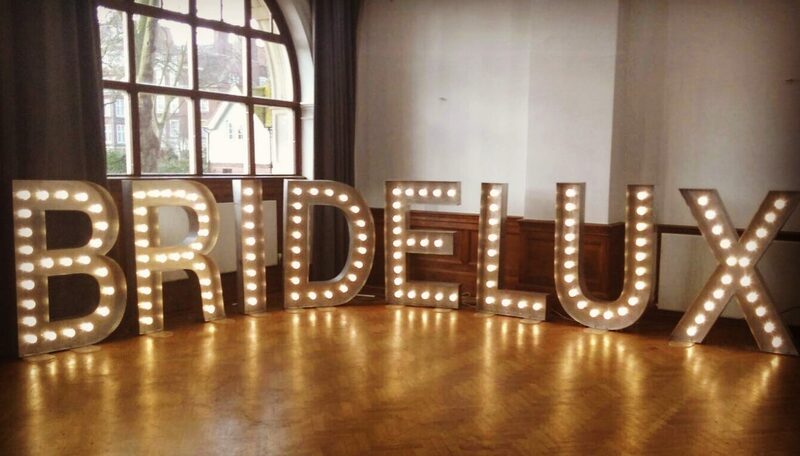 Our circus and fairground style letters work really well against a plain backdrop such as a dark-coloured wall or marquee side, but if you’d like to use the illuminated letters outdoors, please notify us when placing your order. For safety, we recommend placing them against a wall to minimise the risk of trips, and to give easy access to a power supply. We offer a great package rate of £350 plus VAT on our MR & MRS/MR & MR/MRS & MRS letters, saving you money on the individual letter price. A 25% non-refundable deposit is payable at the time of booking. The decorative metal lighted letters stand 5ft (1.5m) tall, 17cm deep and are handcrafted from aluminium. This means that they are lightweight and easy to move with perspex feet to keep the letters stable. Each letter and/or number comes with its own individually wired 2-metre power cable and plug and is PAT tested to ensure your safety. Our cabochon lighting used to illuminate our beautiful letters doesn’t get hot like standard light bulbs. This makes them not only safe, but perfect for posing with in photos. If you want something striking, stylish, and with a personal touch that is completely fabulous, then this is a great choice. 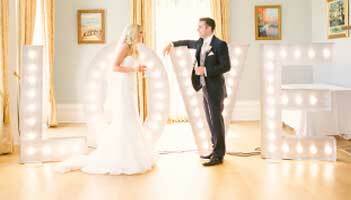 You might also be interested in our other products including our illuminated numbers, LOVE letters and wedding initials. 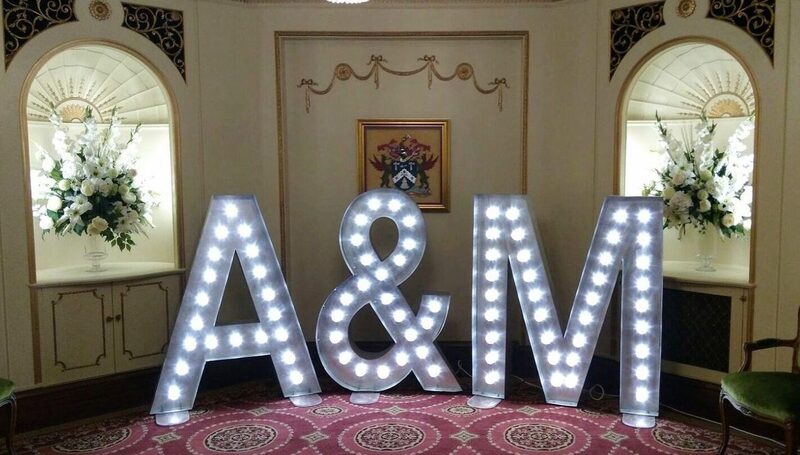 To make your big day sparkle with our light up Mr and Mrs sign, simply contact us for more details.